Extremely useful versatile device for holding items in position during assembly, soldering and painting. Ball joints permit adjustment to exact positions required. Heavyweight base to avoid tipping. 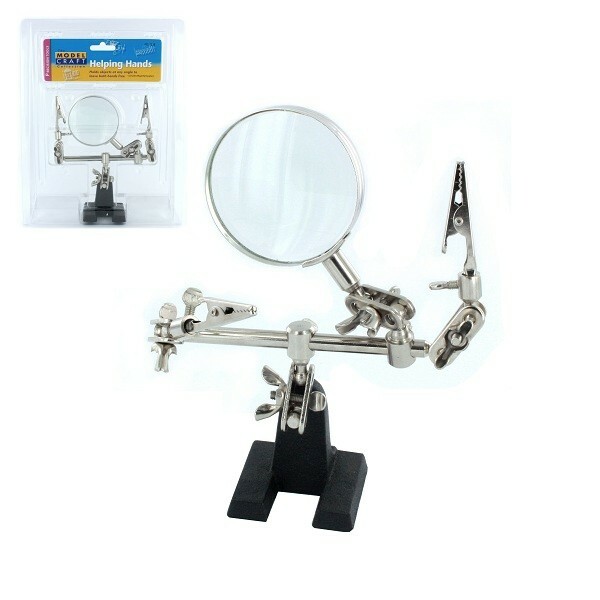 Incorporates 2.5' glass magnifier for precision viewing.